Welcome to Part 2 of my Housekeepers Guide to Vacuums. Today we are going to be talking about cleaning carpet on stairs. If you missed part 1 A Housekeepers Guider to Vacuums click here. I do not claim to be an expert. But I clean houses for a living and in these posts I am just sharing my opinions on what works for me. Let's talk about stairs with carpet. Can you relate? 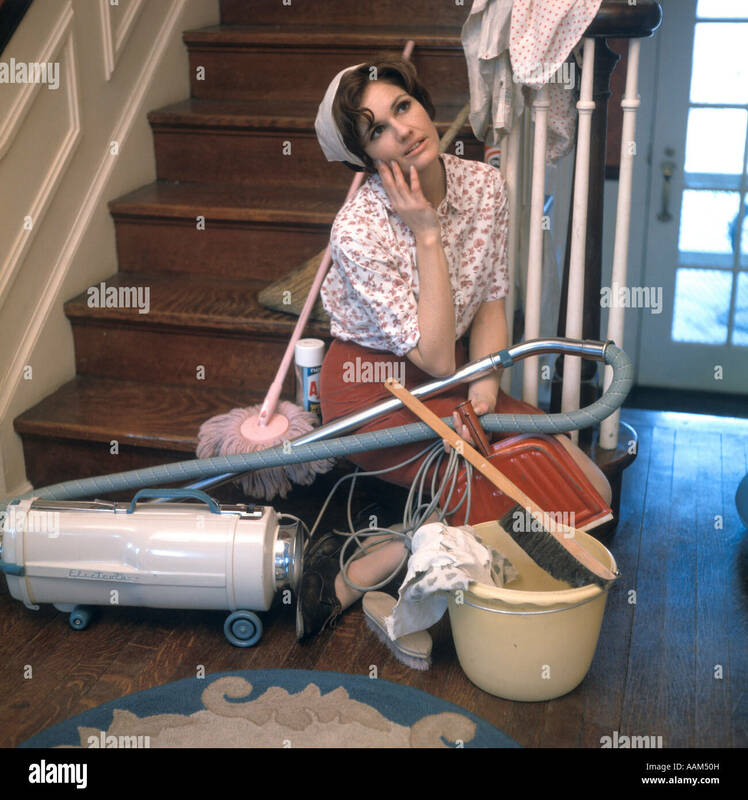 As a housekeeper I dread lugging heavy vacuums up and then working my way back down the stairs. Thankfully I only have 1 house currently that has carpeted stairs. There was a time I was doing stairs daily! It is a back breaking task. Especially if you of a certain age! Thankfully I don't have to clean carpets this way . . . I have a couple alternative suggestions to ease . . .
the back breaking task of lugging a heavy vacuum. And, I think that these 2 suggestions are much more effect and clean your stairs better than any of the vacuums that are currently available. My first suggestion and the one I use twice a week in the home that I currently clean that has carpet on the stairs. It's simple and easy on my back. I use a good 'ole stiff broom. I sweep down the stairs. I sweep each step horizontally and then again vertically. As I vertically sweep down the steps the debris falls down to the lower step. By using a broom I can get into the crevice where the steps meet. And I can also sweep the wood molding going up the stairs as I go down. This kind of sweeping is not Drudgery to me. It's a fast and effect way to clean the stairs. I thought the advertisement for the carpet sweeper was interesting. 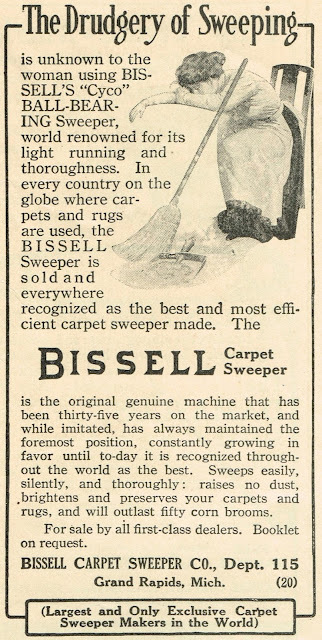 Do you remember the old carpet sweepers? Maybe you feel like you need more than a good sweep. If there are pets in the home maybe a good vacuum is a better chose. Dirt Devil. 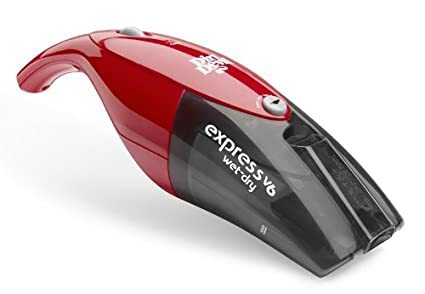 I am sure other brands have a model that is more like a regular vacuum like this . . . I have this model mine is a few years old. Although it does an excellent job I like the smaller bagless model because of the pointed edge. It doesn't have the rolling beater bar like the one with the cord. But I like it because it will get into the crevices. The smaller cordless version is even easy enough for a child to use. The only negative is you have to keep it plugged in and charged. But your only using it for a very few minutes so it is great for a stair case. So maybe your thinking these are great options but . . . I don't have carpet on my stairs! How in the world do I keep all the pet hairs and food crumbs and who's not what off the stairs? And my party favorites they are listed with links below this post.